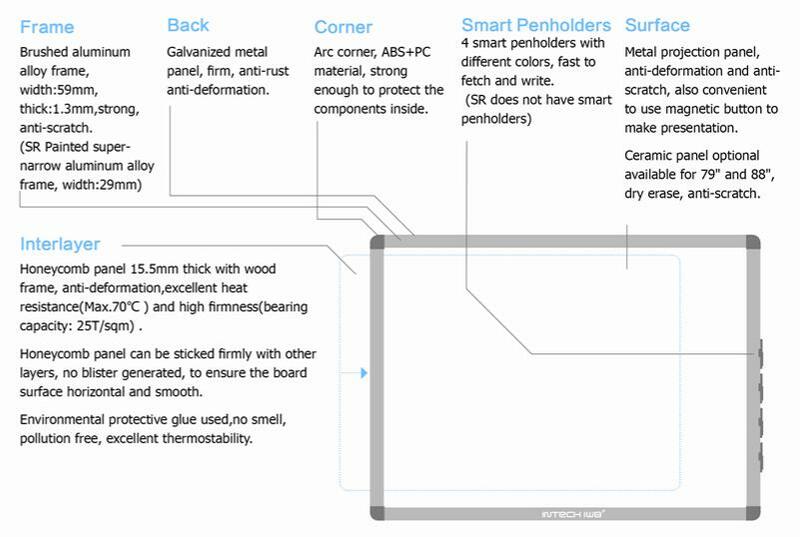 It supports more than 5 points multi-touch and is different from RE and TRE series, with no light interference. 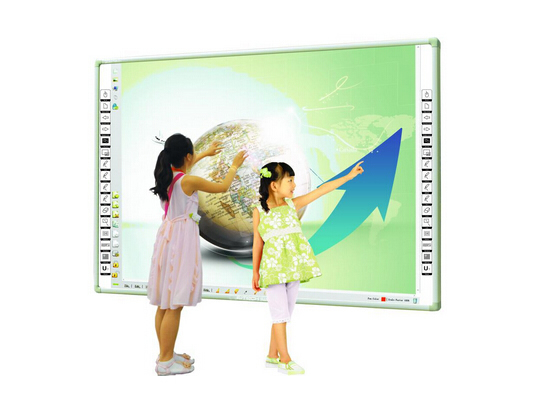 Infrared Interactive Whiteboard requires high flatness of the board, because infrared ray is transmitting in straight lines. Even a little deformation can make the transmitting fail. Especially after long distance delivery, the board’s flatness would be affected. That’s why sometimes it won’t work well after long distance delivery. Our patented self adaptive technology has fixed this problem. We add an algorithm which can self adjust the transmitting frequency by calculating the unflatness of the board. So our Interactive Whiteboard can still work perfectly after long distance shipping. 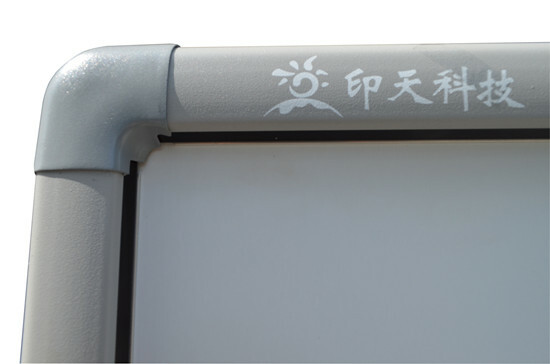 When the sunlight is strong and straightly projected on the Interactive Whiteboard, the infrared ray in the sunlight might interfere with the regular work of Interactive Whiteboard. 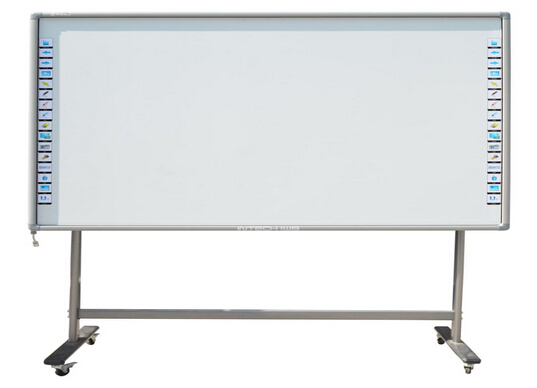 We add an algorithm to recognize and exclude the interference by the infrared ray in the sunlight, which ensures our infrared Interactive Whiteboard can still work perfectly even under strong sunlight.